Streaming TV services offered by companies like Hulu and AT&T are testing the waters for a new type of advertising called "pause ads" (via Variety). The idea behind pause ads is that instead of facing forced commercial breaks at specified interludes, users would be more accepting of ads that play when they choose to pause a show for a bit while they do something else. Hulu says it plans to launch pause ads in 2019, but not much else was given in the way of details regarding which of its numerous streaming plans will include the new type of commercial. The plan likely to see pause ads is Hulu With Limited Commercials, which interjects a few ads throughout a show's runtime, similar to live TV, but again this hasn't been confirmed. AT&T cited similar interest in pause ads, stating that it also plans to launch technology in 2019 that plays a video when a user pauses a TV show. For both companies, it's unclear exactly how long these ads will run for, and if you'll be able to immediately cancel them out by simply hitting the play button and resuming your TV show. According to Hulu vice president and head of advertising platforms Jeremy Helfand, pause ads will not be home to longform advertisements, but will instead focus on commercials where advertisers "have seconds" to deliver a message effectively. Over the next three years, Hulu expects "more than half" of its advertising revenue to come from these so-called non-disruptive experiences. AT&T advertising vice president Matt Van Houten claims that the company is even working on a version of pause ads that will be interactive, so that viewers can "telescope" to more information from the advertiser by clicking on a remote. AT&T knows that viewers will raise concerns over the new type of advertising, but Van Houten claimed that they are just the next iteration of the "flying toaster" screensaver found on Macintosh computers in the late 80's. In time, he suggests, consumers might prefer the pause pitches to other forms of TV commercials. Some advertising executives are already unsure if pause ads will catch on. Tim Halon, CEO of media and advertising consultancy company Vetere Group, questions whether pause ads will be too disruptive: "Just because you can doesn't mean you should...if it's simply inserting, let's say a reverse-mortgage ad with a direct-response phone number? I don't know if that aids the consumer experience." When it comes to advertising, many companies have had to walk a fine line in the past, particularly for streaming services like Hulu and Netflix. Earlier this year, Netflix tested a new feature that added video promotions for shows in between episodes, but users quickly pointed out their frustrations with the test and it never rolled out wide. Netflix executives still claim that there is not currently a plan to run traditional commercial advertisements on its service. 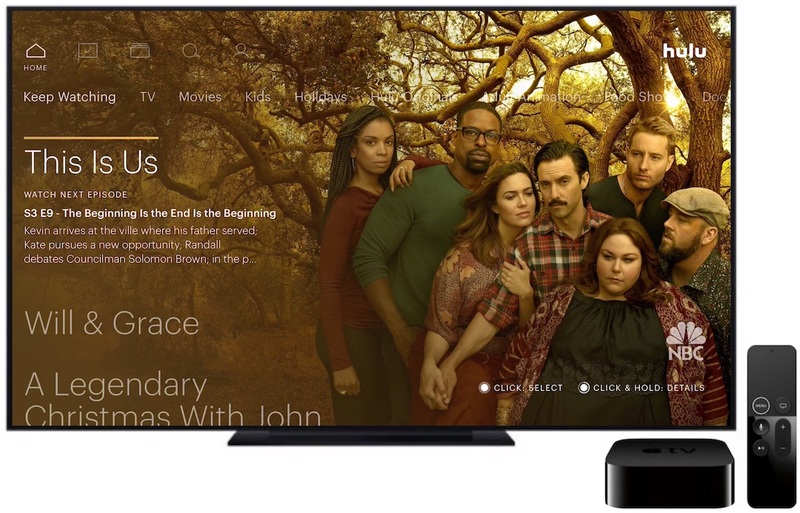 Although details about its service are still sparse, Apple is rumored to offer its upcoming TV shows free to Apple device owners through its TV app, and commercials are not expected to be a part of the experience. Great now, you have to pause and mute when the phone rings. Stop it. Don't do that. Clearly none of the execs have to actually experience normal Hulu, which has too many ads as it is, especially considering it is a PAID service. * What advertiser is going to want to pay for an ad that is mostly guaranteed to not reach the viewer? * This could lead to user confusion. When a user presses pause, they usually expect the TV to stop playing video. * Do they not realize that there are many times when a user pauses the TV because they want the audio to stop so that they can ask someone calling from another room what they said, understand what a small child is asking for, answer the phone, etc? This seems ill-conceived and borderline malicious user interaction design. When most people in my family and I pause a program, we expect total cessation of everything on the tv, especially sound. We may be taking a phone call or answering the doorbell. This would be incredibly annoying if pause suddenly meant an ad. On the other hand, we don’t mind sitting through ads that are good and entertaining. There are quite a lot of them out there. There are many I remember fondly from various times in my life and the newer ones will also be fondly remembered someday. The ad agencies just need to work hard and make engaging ads. For the most part they do. I don’t really watch much tv anymore except for sports with my husband. There have been a lot of amusing commercials that I enjoyed. This is brain dead. So what if my phone rings, how do I pause the show to answer the phone call without an ad blaring in the background? Would I need to exit the app? Not to mention this breaks the function of what all people expect the pause button to do. It’s not called the play ads button. This feels like just another place to shove more ads, then charge us an extra $5 a month to remove them. This is absolutely ridiculous. Hulu already has 5x the amount of ads that it should have, especially for a paid service. I swear, they're just always trying to find a way to make the user experience worse. Morons. What about the times when I hit pause to actually look at something paused? Like, "There's Wesley's son! He was an extra on three episodes of this show." or "What's that thing in the corner? It looks like an antique popcorn popper." or "Did Justin Timberlake really just rip off Janet Jackson's top?" And they wonder why a lot of people pirate. Makes me wish more people would pirate and teach them a valuable lesson. Nothing on these streaming services is worth waiting through commercials mid way. YouTube included. The moment an ad interrupts whatever mildly entertaining thing I'm watching, I close it and move on to something else. This seems confusing, unless it's in some picture-in-picture setup. If I had not read this and perhaps recall it when I see it -- Contextually, if I hit pause, I expect everything to stop. If something else starts playing, I'm going to instinctively hit the button again, and my show will start back up... so I'll be caught in this loop of "why won't it pause?"